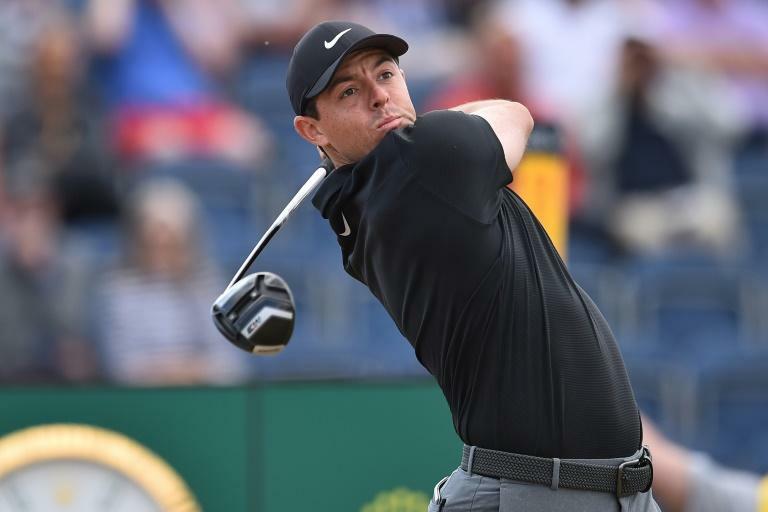 Rory McIlroy provided the perfect riposte to being called a robot by renowned coach Butch Harmon as he played aggressive golf to card a two-under-par 69 in the first round of the British Open on Thursday. The 29-year-old Northern Irishman -- seeking his first major in four years -- delivered what he had promised on the eve of the tournament at Carnoustie, reverting back to the type of aggressive and carefree golf which first came to public notice at the same course as a fresh-faced amateur in 2007. The four-time major winner had three birdies and one bogey in his round, where he was one of the few players to use his driver regularly on the sun-baked course. That left him three shots off first-round pacesetter Kevin Kisner and firmly in contention. However, he was clearly irked by the remarks of Harmon, best known for being the coach of Tiger Woods from 1993 to 2004. The 74-year-old American, who is at Carnoustie as a pundit for broadcaster Sky Sports, said he wanted McIlroy to revert to the boy golfer he had been and be less robotic. "Look, I like Butch," said McIlroy. "Definitely, I would say I'm on the opposite end of the spectrum than someone that's mechanical and someone that's -- you know, it's easy to make comments when you don't know what's happening. "I haven't spoken to Butch in a long time. He doesn't know what I'm working on in my swing. "He doesn't know what's in my head. So it's easy to make comments and easy to speculate. "But unless you actually know what's happening, I just really don't take any notice of it." McIlroy, who has seen his good form at the beginning of the season tail off, said his golf on Thursday had been exactly that of when he was starting out on the circuit, the carefree abandon of youth. "Yeah, I think when I played 18 on Monday, I definitely thought that, you know, it was going to be beneficial to be as aggressive as I possibly could be," said McIlroy. He added that playing the aggressive style he had adopted as a strategy might hold risks, but was still more likely to pay off than a cautious approach. "Even if you play aggressive around here, you might make more bogeys than playing it safe, but you're going to make more birdies as well," said McIlroy, whose Nike shoes sported the word 'nasty' in a reference to the popular nickname for the course of 'Car-nasty'. "I got away with some tee shots, but at the same time, I think that's what I have to do. "That's my game plan this week. I'm convinced that that's the way that I should play it. It's not going to be for everyone, but it worked out pretty well today."